Mr. Leonard was menacing in a way I’d never seen before, larger somehow too, like a predator. But his blank expression was what scared me. His voice floated around me like an echo, his eyes too bright. “Alec?” My back hit the wall and I gasped. He had me cornered. I made to push him away, but in that same moment, the fear that had crept under my skin feeling like it might burst out my pores, lessened. Everything about Mr. Leonard seemed different. He didn’t move. His expression didn’t change. It was the air around him, the atoms buzzing, something intangible that shifted. His eyes were mesmerizing, and as I returned his stare, all the anxiety in my stomach washed away. I felt warm, but not uncomfortably so, more like I was snuggling up for an afternoon nap. I didn’t see him move. He was there, standing in front of me, and then he wasn’t. Instead, the curve of his shoulder was in front of my face, and a sharp pain in my neck tore the air from my lungs, like he’d struck me with a knife or a needle. But the pain faded almost instantly, and the tight pressure felt almost soothing. I sagged against the wall, seeing only the dark blue of Mr. Leonard’s shoulder, the hazy background of the sofa and fireplace fading in color until there was nothing but calming darkness. 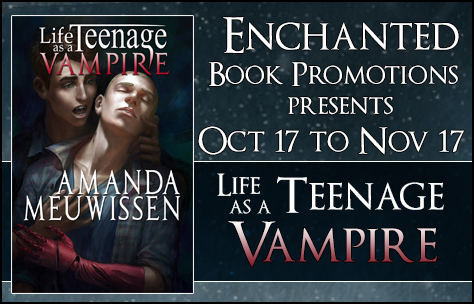 The last thing Emery expected at the end of his senior year of high school was to become a vampire and fall in love with his best friend… Emery Mavus just wants to survive his senior year of high school. Becoming a vampire complicates things. So does a bizarre mentor, a group of vampire hunters, and an unexpected, new attraction for his openly gay best friend, Connor. An occasional uncontrollable hunger for blood might be the least of his worries. 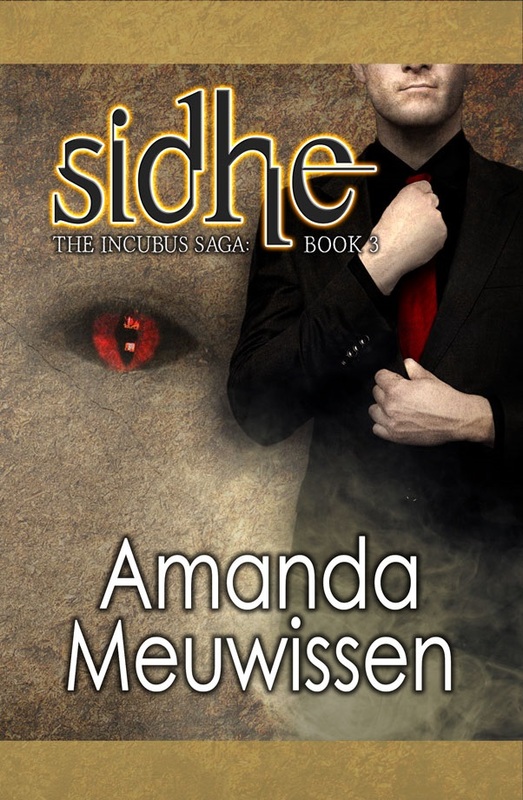 Today I’m interviewing Amanda Meuwissen, author of paranormal romance / urban fantasy “Sidhe”. Welcome! I think since I was single digits. I’ve been actively writing for other’s enjoyment since middle school, and I don’t think I could ever stop. I’m happiest when writing a little each day. Fanfiction. When I was younger, I was debating between pursuing writing or acting, my two big loves, and it was after I worked on a particular Final Fantasy VIII fanfic dealing with depression and suicide (quite a young writer fanfic trope, I know) that I made my decision. It was after I received an anonymous review about how my writing had inspired them to seek help, have hope, and ultimately consider living rather than taking their own life that showed me how powerful writing can be. 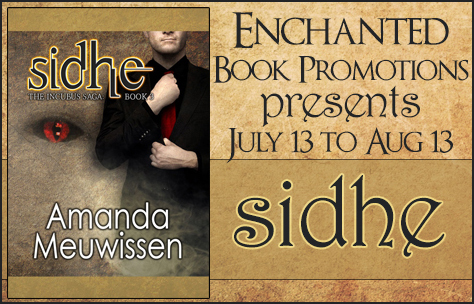 Sidhe is the third book in a series. Was it harder to write this book than the previous books? The first book was the hardest, because it sets the scene, and getting that initial world-building in was quite the challenge. I think this book was actually the easiest, because it has some of my favorite scenes, the sweet ones and the angst, the rare chance to see a little 3rd person POV from characters other than Nathan, and just the excitement of reaching the end. Why did you choose paranormal romance as genre to write in? It’s my groove. M/M romance is my genre of choice, but I’ve always had a deep love of fantasy and sci-fi, and something about paranormal, supernatural, modern fantasy settings always captivates me most because it can be so believable, that just out of view behind our normal, boring world might be something fantastical. Never stop. Don’t think you need to sell a ton of books, get only good reviews, or become the next J.K. Rowling for writing to be worthwhile in your life. If you can make one person squee over your writing, well, I can tell you that that is far more rewarding than the paycheck I receive. Write, write, and write some more, no matter what anyone says. I’ve been taking a break from my original work the past few weeks to decompress during the release of Sidhe…and write fanfiction. It’s a great stress reliever, where I don’t focus as strictly on perfect edits. But once I’m done with the work I’m in the midst of now, I will be returning to the YA vampire M/M romance story I have in the works that I am just in love with. Keeping the romance cleaner will be tough for me (not TOO clean, no worries) but it’s just an amazing story of unique characters and finding identity and love in an impossible situation. Nathan Grier returns from the Veil a changed man. The consequences of his time with Malak, the dark sidhe king, and the deal made to free him may be more than he can bear. The weakening of the Veil and new enemies foretell of a greater battle still ahead. With Nathan’s brother Jim now an Awakened changeling, and Nathan’s role in Malak’s plans finally revealed, Nathan’s love for fae hunter and incubus, Sasha Kelly, may not be enough to save him after all. Nathan Grier only ever wanted a normal life, but for him, life, family, and love are anything but normal. On the other side of the Veil, dark and light fae exist outside the knowledge of most humans. Nathan was born human, but his twin brother Jim is a changeling. On the run since they were children, time for both of them is running out. Turning to fae hunter Sasha Kelly for help, Nathan must soon face his growing feelings for the other man while trying to save himself and his brother from a fate worse than death. Nathan Grier’s dark fae bounty looms overhead. As he faces the very real threat of becoming a slave to the bounty’s owner, his brother Jim uses his changeling abilities more and more trying to save him. Every changeling throughout history turns evil once their powers manifest, meaning time may be running out for both of them as Jim nears True Awakening. Fae hunter and incubus, Sasha Kelly, is prophesized to save Nathan, but while Nathan has embraced his feelings for the other man, he fears their time together will be cut short—either from his impending fate…or Jim’s. 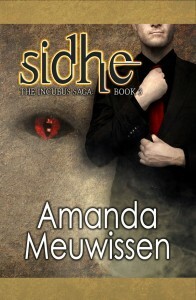 Amanda Meuwissen is the author of The Incubus Saga and the novelette The Collector. She also serves as COO and Managing Editor for BigWorldNetwork.com. She oversees editing and series selection, and is featured as a narrator for several BWN audiobooks and series. Amanda lives in Minneapolis, MN, with her husband, John, and their cats, Helga and Sasha (no connection to the incubus of the same name). Excerpt time! Today I’m sharing an excerpt from gay romance “Changeling” on my blog. Have fun reading! “You have…what? Less than thirty years life experience? And you think you can beat almost two-hundred?” Faust sneered. He had an arm hooking both of Nathan’s arms behind him, which made Nathan’s eyes water with the pressure on his injured shoulder. All of Faust’s weight was centered on a leg that was thrown over Nathan to keep him pinned to the floor. Nathan felt a chill run through his body at the mention of the ‘chosen changeling’. His sore shoulder was screaming in pain, and he knew he was being self-conscious of the wounds on his chest, which was slowing him down. Nathan Grier’s dark fae bounty looms overhead. As he faces the very real threat of becoming a slave to the bounty’s owner, his brother Jim uses his changeling abilities more and more trying to save him. Every changeling throughout history turns evil once their powers manifest, meaning time may be running out for both of them as Jim nears True Awakening. 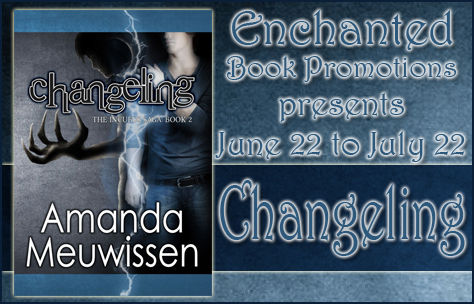 Amanda Meuwissen is the author of The Incubus Saga (Book 1: Incubus, Book 2: Changeling, Book 3: COMING SUMMER 2015) and the novelette The Collector. 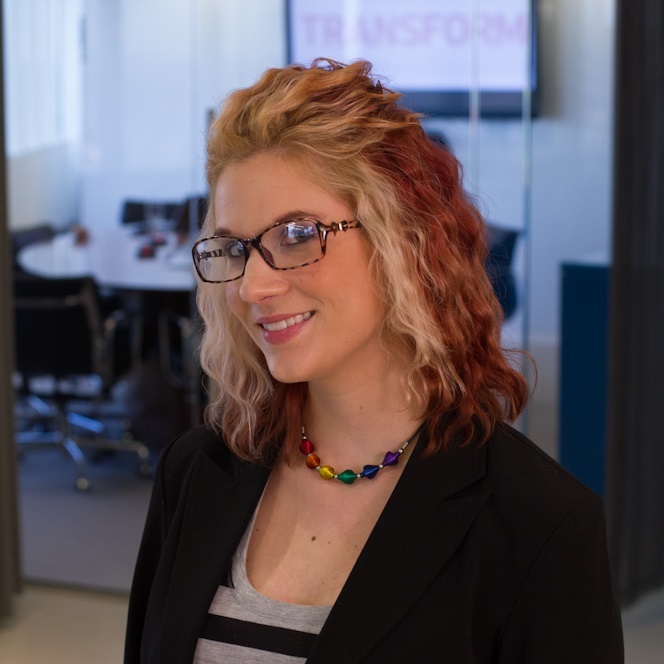 She has a Bachelor of Arts in a personally designed major from St. Olaf College in Creative Writing, and has been writing and posting online for many years, including maintaining the blog for the customer engagement company Outsell. She spent a summer writing screenplay script coverages for a company in L.A., and is an avid writer and consumer of fiction through film, prose, and video games. 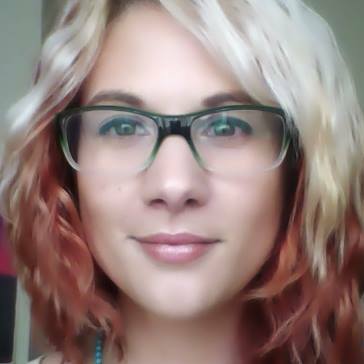 Amanda also serves as COO and Managing Editor for BigWorldNetwork.com, the world’s premiere episodic literary network. She oversees editing and series selection, as well as being involved in marketing and promotion, and is featured as a narrator for several BWN series. Amanda lives in Minneapolis, MN, with her husband, John, and their cats, Helga and Sasha (no connection to the incubus of the same name).